Andrés Bella is a New York City born artist and currently resides in the San Francisco Bay Area. His father, a Hungarian who grew up in Venezuela, and his mother, a Colombian, moved to the US in the early 1960s. The resulting fusion of different cultures in which he was raised is evident in his artistic approach of incorporating tennis materials to create his works. 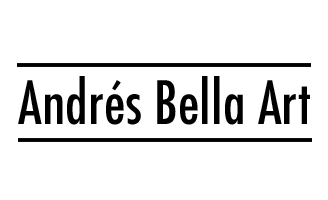 Andrés Alberto Bella was born in Queens, New York, where he lived until age eight. Andrés began cultivating his creative and competitive awareness during his early childhood years, influenced by graffiti-covered subway cars and buildings, his trilingual father who played live music at home, his bilingual mother who encouraged tennis, his grandparents who provided coloring books, and a diverse set of friends [who constantly exposed him to new ideas and experiences]. In 1985, Andrés and his family left Queens for Connecticut. While there, Andrés discovered his natural talent for sports, primarily tennis. He would eventually go on to captain his Division I tennis team at Quinnipiac University. Several years later, he returned to his passion for the arts. Andrés expresses himself by creating works of art with tennis materials. He looks towards repurposing the past to understand the present and influence the future.